He was the fastest high school miler ever for decades. He went on to set five world records in the mid distance events and was a three time Olympian. All of that being said, his running accomplishments are not what I respect most about him. Jim Ryan went on to become a member of congress for many years. He has also held Christian running camps for youth for decades. His camps integrate faith, reaching your potential in running, and life lessons that last. His message is one of hope. Ryan’s camps have produced dozens of All-Americans at each collegiate level and Olympians and world championship members. His camps share my own philosophy of coaching. The focus of Ryans' camp is to help develop young runners mentally, spiritually, and physically. Alumni of of Ryan’s camps include Ryan and Sara Hall, Josh and Jordan McDougal, Jenny Simpson and other elite runners. The great running coach Dr. Jack Daniels, who has been called “America’s Greatest Coach” by Runner’s World Magazine, speaks each year at the Ryan running camps. I've taken several classes from Dr. Daniels over the years. He is an amazing man in so many areas of life. I highly recommend that you get to know Dr. Daniels and listen to his advice about training and life. In his 80's now, Dr. Daniels has a lot of wisdom to pass along. “During the summer between my sophomore and junior year in high school I attended Jim Ryun’s running camp and had one of the most transformational weeks of my life. That week still impacts my outlook on sport, faith and life. With a smile on my face I still reflect on that week often. 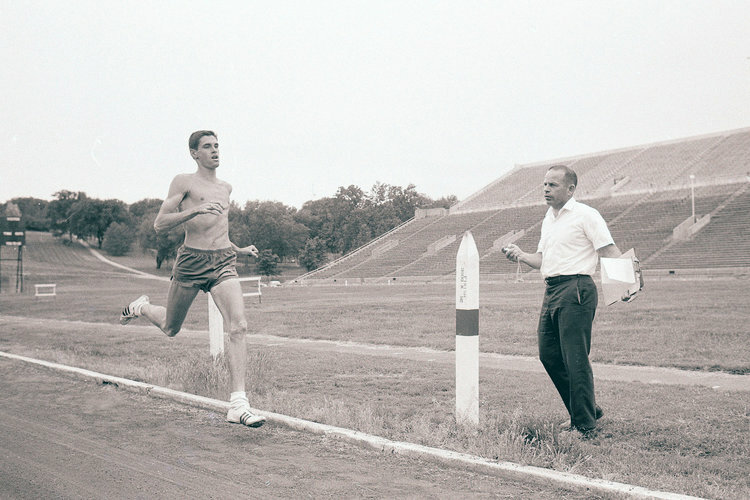 What was so impactful about that week was learning about what made my childhood hero, Jim Ryun, tick. I grew up wanting to follow in Jim’s footsteps so when I had the opportunity to meet and spend time with Jim Ryun and his amazing family at camp that week, I learned how life is not only about running fast but about having a deep faith, loving God, loving others and maximizing the talents God has given us. After that week at camp, the following year I improved my PR in the mile from 4:22 to 4:05 but more importantly I became a better person. Like so many other campers over the years, I am forever grateful to the Ryun’s for their influence in my life and for the impact that one summer week made on me". Jim Ryan and his wife Anne have dedicated their lives to helping others. A running camp like the Ryan’s can be transforming and life changing for a high school athlete. To learn more about Ryan running camps go to http://www.ryunrunning.com/.